Is Nintendo Developing Pokemon Sun And Moon For Nintendo Switch? Details are slim, but many fans expect the next Pokemon game to land on Nintendo's hybrid console. The Nintendo Switch is out, and like with many of the company's other handheld systems, players are wondering when they can expect the next Pokemon game. At this rate, it'd be safe to say that a Pokemon game for Nintendo Switch is inevitable — the powerful and portable nature of the hardware seems like an ideal fit for the franchise — but that doesn't mean that the next Pokemon game is necessarily coming soon. With that said, Pokemon fans are still waiting for the third game in the Sun and Moon generation, a so-far unconfirmed title players refer to as Pokemon Stars, and there is a fair bit of interesting evidence suggesting that the game will be landing on Nintendo Switch. Pokemon Stars - Sun and Moon Remake, or New Game? One of the more curious reports circulating the internet revolves around Nintendo's removal of a Pokemon Sun and Moon reveal video from their official YouTube account. Nintendo is prone to cleaning up shop with regard to their YouTube videos, so no surprises there, but the Sun and Moon reveal video removal is particularly odd because all of the other Pokemon reveal videos were left behind. 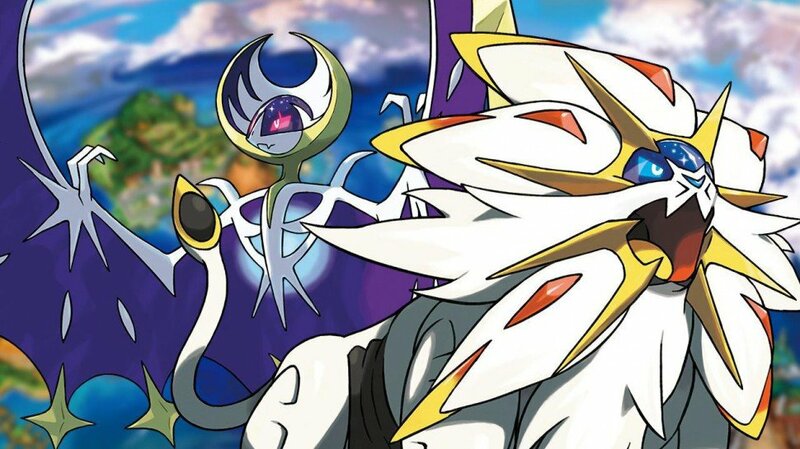 Fans are speculating that the Sun and Moon reveal was removed in order to alleviate the potential confusion that would go along with a new Sun and Moon reveal video Nintendo would likely post if they announced a Switch-based remake of the game. Even if the Switch doesn't get its own version of Sun and Moon, it's entirely possible that a new video would spell out Sun, Moon, and Stars all together, touting the entire product package at once — and potentially all for one console. Additionally, there are reports online that Pokemon developer Game Freak has been hiring artists who can create models for an unnamed RPG series they say is "popular on a global scale." This has lead many to believe that preliminary work has begun on a new Pokemon game, particularly one for Nintendo's recently-released Switch hardware. Further adding credence to this notion is an article published by Eurogamer which states that multiple sources have confirmed that a new version of Pokemon Sun and Moon is already in development over at Game Freak. Whether the game is a neat collection of Sun and Moon remade for the Switch or an all-new title within the most recent generation is unknown, and until we get official confirmation from Nintendo or Game Freak themselves, such is all speculation. While waiting for GameFreak to finally reveal their next Pokemon title, check out some of the titles featured on our list of the Best Nintendo Switch Games.